At 8.45am (or 9.30am on weekends) you'll arrive in Zeebrugge where a coach will be waiting to take you to the city centre. Depending on traffic you'll normally be there around half an hour to an hour later. TRIED AND TESTED! I sailed to Bruges with P&O Ferries. You can read my Bruges mini cruise review here. 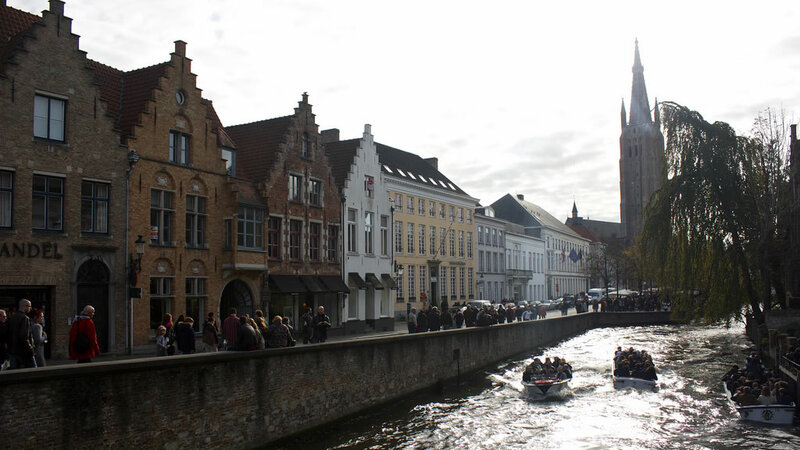 Enjoy touring Bruges at your own leisure. Meander the shopping streets of this small city, browsing the shops and admiring the beautiful architecture along the way. There are plenty of chocolate shops to tickle your fancy although seek out the artisan shops to taste quality confectionery. Walk around Minnewaterpark and enjoy the tranquil public green space that borders Minnewater Lake.The city boasts a surprising number of museums, historical attractions and religious sites and these are worth a visit too. And don't forget about a canal boat ride or a horse and carriage ride along old cobbled streets. At 5.30pm the last coach departs Bruges taking the last load of passengers back to the ferry terminal. At 7pm the ship sets sail bound for Hull the following morning. The next round should be in October. They're normally October through to March. Can you upgrade to a club cabin on the 2 for 1 offers on Hull to Bruges ? If so what is the cost of the upgrade ? The 2 for 1 offer expired at the end of March but is likely to return around October for the Winter season. Indeed, club class cabins are normally available under this deal, obviously at a premium over a standard or Premier class cabin. I completely agree! It's incredibly great value, and you get to see some of Europe too.